One of my biggest New Year resolutions was to learn how to cook delicious, healthy foods...and enjoy it! Like, really look forward to it and love it. Also, along with most everyone else, I wanted to lose weight; specifically baby weight. I gained 60 lbs with Dollie, lost half of it, got pregnant again and gained 40 lbs with Dash. That's a total of 70 lbs to lose all said and done. I have 10 lbs to go for the Dash weight and then another 30 for the Dollie weight. So that equals a whopping 40 lbs to lose. I don't lost weight by nursing. My body holds onto to everything I eat. I could selfishly stop nursing now that he is 6 months but I just can't. I produce around 35 oz of breast milk a day for him and I just can't bring myself to stopping it. I nursed Dollie for 14 months and loved it. Anyway, back to my resolutions. So there I was faced with these goals that I felt very strongly about. As we all know Jan 1st was a Friday so I decided to start on Monday. You know, to take the weekend to get rid of all our unhealthy food. (Lame excuse). I had planned on heading to the grocery store on Saturday to get a bunch of healthy food for the week. I didn't really know what I was going to buy. Probably just the regular things that I bought every time we attempted to "be healthy and eat clean". That list basically consisted of sweet potatoes, brown rice, chicken, vegetables, quinoa, and eggs. It was so crazy boring. I would just cook up these things and we would eat them plain and it was awful. Every.single.time. We never lasted long on this meal plan. I always found myself justifying wheat toast with peanut butter (every day) and yogurt (every day) and flavored oatmeal (every day), among other things that are completely full of sugar. Eating that stuff every day just wasn't going to get me anywhere. The last time I tried this I also started the Insanity program. I really like it, its an unbelievable work-out, but I just got so burnt out every day. I was still hungry and the food wasn't satisfying or appealing. I would get so frustrated and just give up. Over and over and over! On Friday the 1st I was scrolling through instagram and noticed a post from @JennasKitchen. She had re-released her One Week Meal Guide for the New Year. 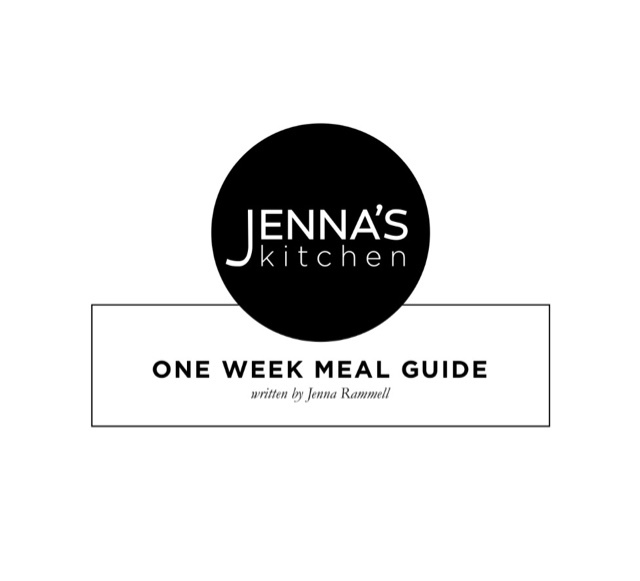 I had already been following Jenna for quite some time and so I knew of this meal guide but knew very little about it. I did know that it was Whole 30/Paleo inspired. The caption that she wrote sucked me right in. She wrote: "...Its time for a detox over here. I'm usually pregnant or nursing so juice cleanses or things of that nature don't really seem feasible but eating nutrient dense food is a great way to get rid of the junk in your body, especially all that sugar." THIS. This was meant for me! I knew it immediately. I talked to Bodie about it and we checked out some of the recipes via her hashtag #jennawholerecipes. She mentioned that it included a complete grocery list for one weeks worth of breakfast, lunch, and dinner. She also mentioned somewhere that you would use every bit of every thing you bought. Again, exactly what I needed! I already knew Jenna was an incredible cook. I just needed direction. I needed someone to say "Go buy this and then make this." So for $11 I purchased the guide. downloaded it to my phone and headed to the store the next day. I was fully committed to the guide, got everything she recommended, and was a little nervous about it. I bought things that I had never had in my kitchen before. Things like white rice vinegar, red wine vinegar, and avocado oil. Also things that I despised eating growing up. Things like asparagus, brussel sprouts, and beets. But I was committed. I believed that following this meal guide would get me started on not just one but BOTH of my resolutions. I began the meal guide Monday morning and all I can tell you is that it is freaking perfect and delicious. I am so picky, but I have made each meal exactly as stated in the guide and it's just been so easy, so FUN, and so yummy! The meal plan is set up as a single serving for breakfast and lunch and dinners for the whole family. But every day I make double breakfast and double lunch for Bodie to have the following day. It's been working out perfectly! We haven't had the same meal twice. I have used more ingredients in the past few days than I have in the entire 8 years of our marriage. I am learning what flavors go well with certain things. I have use actual sprigs of rosemary and fresh basil. I am learning that beets are actually really yummy, and that avocado oil and balsamic vinaigrette adds the perfect touch to the most simple salads. I'm cooking 10x more than I usually do and it's totally okay! Its great! It's forced me to go full throttle into my first resolution of cooking healthy delicious meals, and its made me realize that's its not even half as complicated as I thought it would be. This morning, Day 4, I ate lemon butter salmon benedict. 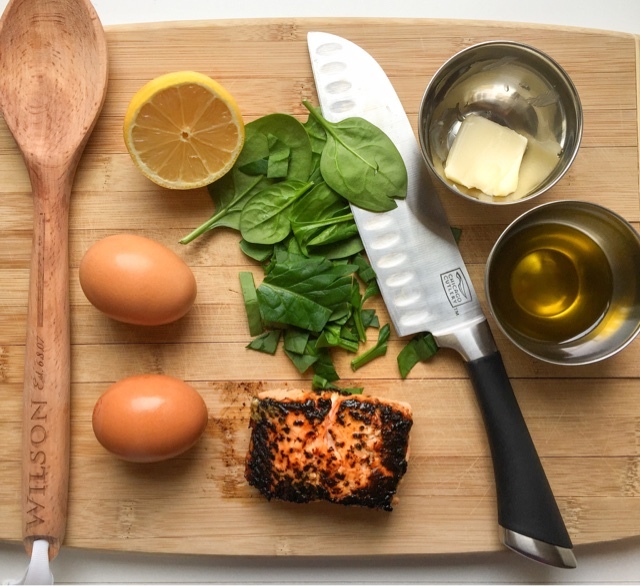 It included salmon, spinach, eggs, avocado oil, zest from a lemon, and green onions. It was delicious. And each meal fills up my tummy. My belly and my taste buds are satisfied after every dang meal! In between meals I have been snacking on fruit, nuts, and vegi's. This is the first time in my (almost) 29 years of life that I have gone with out sugar (besides fruit), dairy, grains, and processed foods. I couldn't really imagine not drinking milk and eating bread. And no sugar? No treats? Are you kidding me? 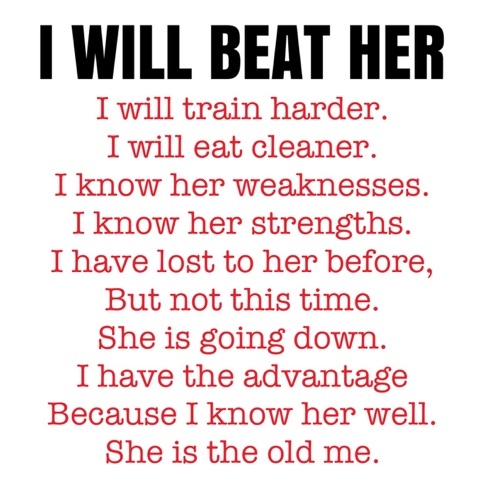 But here I am on day 4 and I am doing it! The things going into my body are healthy and packed with important nutrients that my body needs. And to think of all the junk that's leaving my body is so exciting! I was a little worried about what might happen to my milk with such a dramatic change to my diet, but so far so good. I am just making sure to never let myself get hungry. I don't have a set plan for what I am going to do after this week. It seems like whenever I commit to 30 or 60 days, it's just so daunting and I always fail. This time I said ONE WEEK. Take it one week at a time. But based off of how this week is going I think I just might keep repeating this meal plan! Mixing it up a little here and there, and I am probably going to shoot for a 6 week thing. Obviously at some point I will eat grains again, and have dairy, too. But for now, this detox is what my body needs. Yesterday (Day 3) I woke up feeling pretty crappy. All day I didn't feel that great. I knew it was my body detoxing. I feel lots better today and just as excited as I was on day 1. I will post again after I finish the full week. I am excited to share this journey with you! I am so excited for what's to come this year! Now please excuse me while I go prepare my lunch for today. Which happens to be a sausage bacon dog + fruit. Heaven!